Our name, Henry Bear’s Park, comes from a children’s book by David McPhail, published in March of 1976, the same month that our first store opened on Huron Ave in Cambridge. Since then, Henry Bear has become a favorite “go to” spot for Boston area families. With tremendous support from talented and dedicated staff, Henry Bear’s Park has earned a reputation (and several Best of Boston awards) for a great selection of children’s products and an exceptionally welcoming store environment. In 2002, Henry Bear also found a home in Arlington Center, and in 2004 in Brookline Village; in 2009, our Cambridge store moved over to a new spot in the Porter Square Shopping Center. 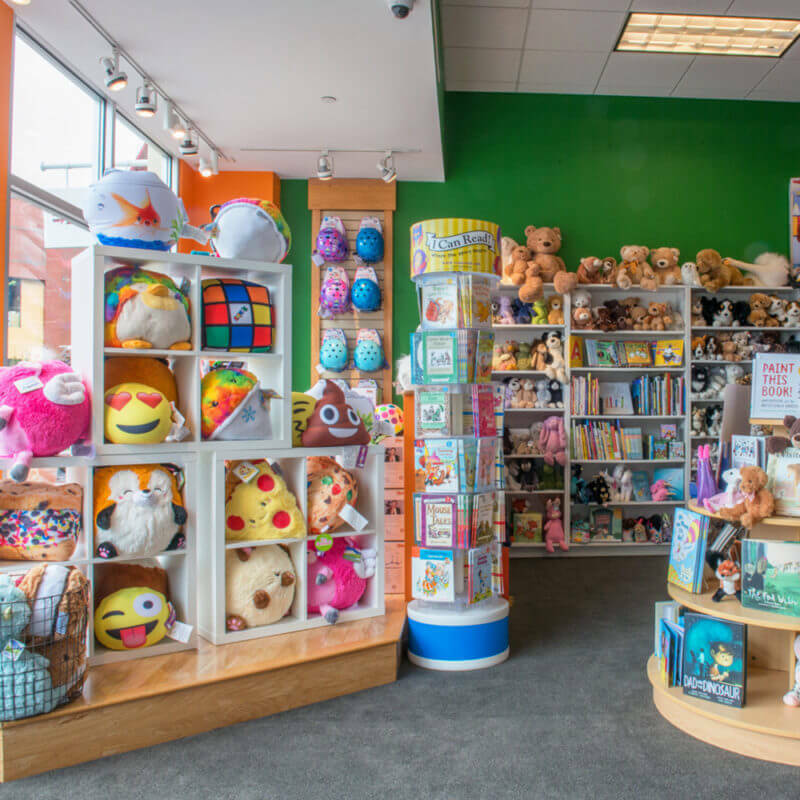 All four stores offer a lively assortment of toys, books, and games for all ages. From the very first infant rattle, right on through family board games, we strive to find toys that promote healthy and positive play. We believe that the best toys are those that engage and delight kids, toys that help children find out something about themselves and the world. We also believe in surprises, so while you may expect to see a great selection of Lego, Playmobil, Corolle dolls, Bruder trucks, and Melissa and Doug toys, you might not expect a Food Face plate, Ninja cookie molds, or jewelry that even Mom would like. Every day is a great day to play: make a new discovery, find some connections, and laugh a lot.